Minions were first introduced in the movie “Despicable Me” five years ago. Now, they have their own film. 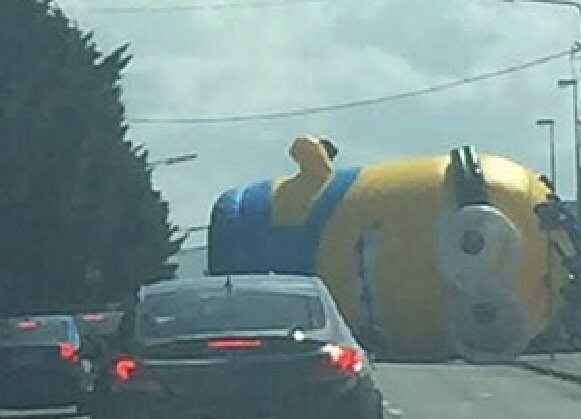 People put a 12-meter tall inflatable Minion in North Dublin. It blew onto a busy road and brought the traffic to a standstill. Thankfully, nobody was injured in the Minion attack. Do you like to watch movies? Why or why not? Do you want to see the Minion movie? Why or why not? Are Minions popular in your country? Why or why not? How high is the Minion?